Drone delivery is officially off the ground. On Dec. 7, a bag of popcorn, along with an Amazon Fire TV stick, left a Cambridge warehouse in the U.K. and 13 minutes later, both were accepted by an Amazon customer, one of two customers who had agreed to be part of a private trial with Amazon. Amazon released a video showing the fully autonomous drone, without a human pilot, taking off from the warehouse and flying over fields to deposit the package just outside the customer’s home. 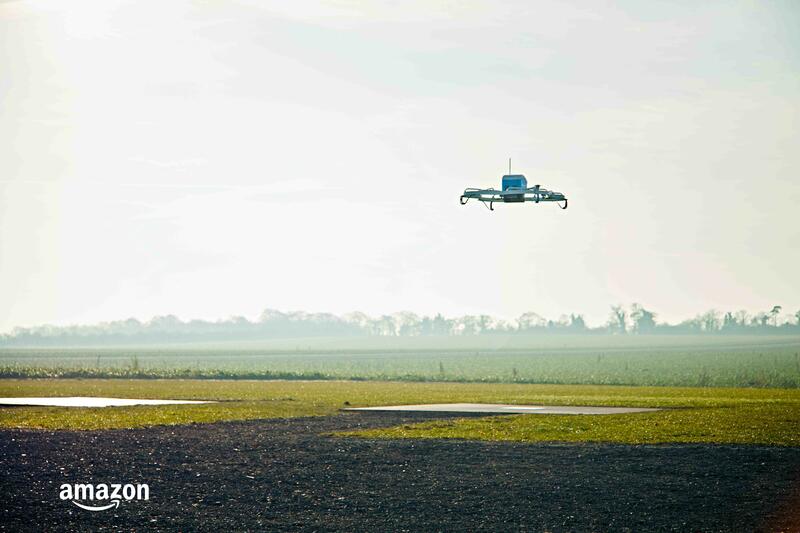 Amazon aims to make deliveries in 30 minutes or less using drones. Packages must weigh five pounds or less, and drones will fly under 400 feet. The company insists the process will be safe because the drones will be equipped with “sense and avoid” technology. However, it’s unclear when or if drone delivery will be coming to the United States, where commercial drones face many restrictions. “We will deploy when and where we have the regulatory support needed to safely realize our vision,” Amazon said in a statement. The company, which is working to expand its current private trial from two to hundreds of customers, says it is working with policymakers to establish regulatory frameworks more more widespread use of drones. In addition to rolling out Amazon’s drone delivery announcement on Wednesday, Bezos joined also a group of other top tech executives meeting with Donald Trump as part of a closely scrutinized sit-down at Trump Tower.